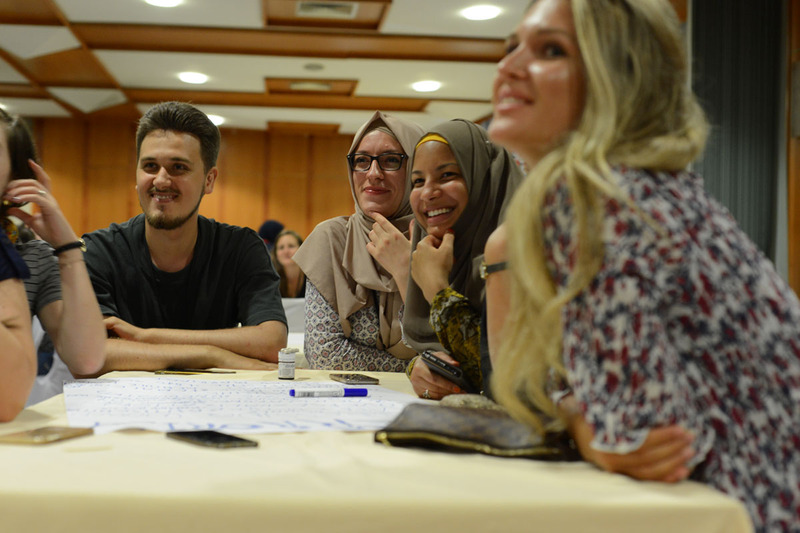 From August 6th to August 13th 2017, more than 120 young Jews, Muslims and allies met for the Muslim Jewish Conference (MJC) in Sarajevo. 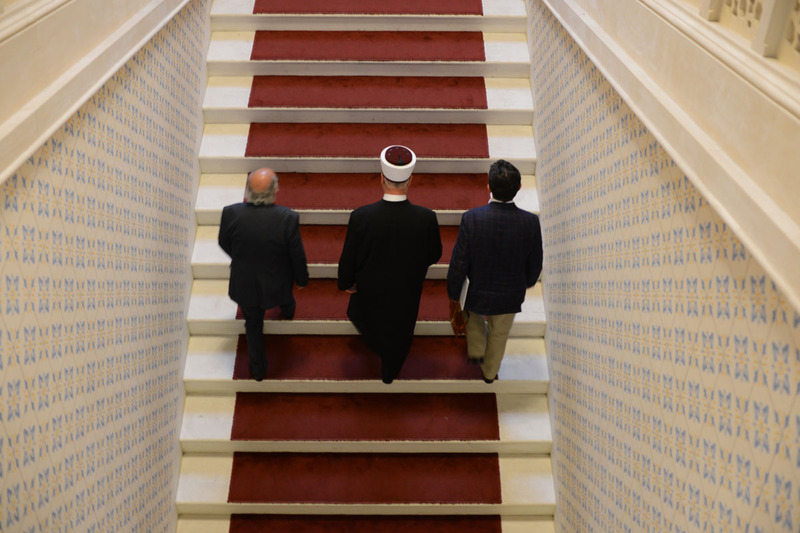 For its 8th edition, the MJC decided to return to the Bosnian capital, where the annual conference had been held in 2013. “We feel at home here”, said Secretary General Ilja Sichrovsky to international press, who attended the opening ceremony at city hall, where the MJC was welcomed by Bakir Izetbegovic, Chair of the Bosnian Presidency, Jacob Finci, Chair of the Bosnian Jewish community, Husein Kavazovic, Bosnia and Herzegovina‘s Grand Mufti, and Jonathan Moore, Head of Mission of the OSCE, – amongst other prominent members of local and civil society. In these thematic spaces, they discussed challenges they face on the ground and best practices to overcome them. Participants regrouped for myth-busting workshops, religious ceremonies at a mosque and a synagogue, and a visit to the Srebrenica memorial, where they held an emotional interfaith prayer. An illustrated children’s book to answer the question « What is war? », translated into French, Hebrew, Arabic and German. An interfaith space to bring immigrants and locals together through prayer in Germany. An academic course on France’s diversity. An online video series on inclusive initiatives. A guide to combat Antisemitism and Anti-Muslim Racism. One of the most challenging but also successful panels was the presentation of the Parents Circle – Families Forum. A joint Palestinian & Israeli organisation of over 600 families, all of whom have lost loved ones due to the prolonged conflict. As both Dana and Osama told their stories of personal loss, both despair and courage filled the silent room. Here where two people who had every reason to choose to hate each other, but instead they bravely chose to listen. 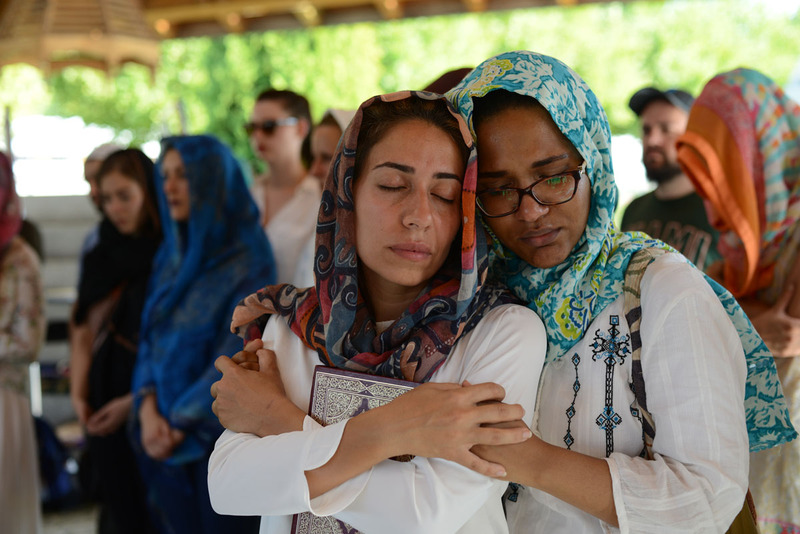 Yet again the Muslim Jewish Conference proved that the most difficult conversation between our communities can be an opportunity for healing if we have the courage to finally talk to each other and share each others pain. « At the Muslim Jewish Conference we have the courage to listen and the bravery to agree to disagree. At a time where the world is so set on tearing itself apart, this is an act of defiance. We are proud to create a global movement lead by the next generation. In each other, we find the inspiration and allies to be our Sisters & Brothers keepers. Whoever they pray to, wherever they come from, however they look like. Expect us. » Sichrovsky concluded. You can download a detailed report from the MJC 2017 as well as previous conferences here.